This magic set makes an excellent gift for magicians or collectors of all ages. Designed by Marshall himself, selecting time-tested tricks that are easy to do, yet completely baffling. 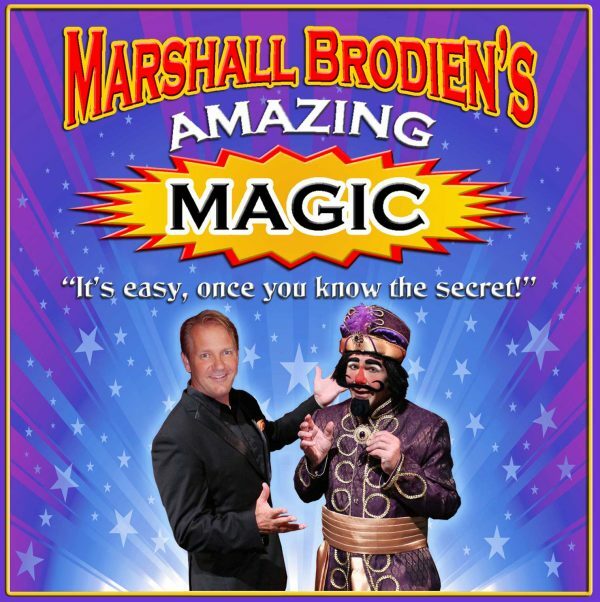 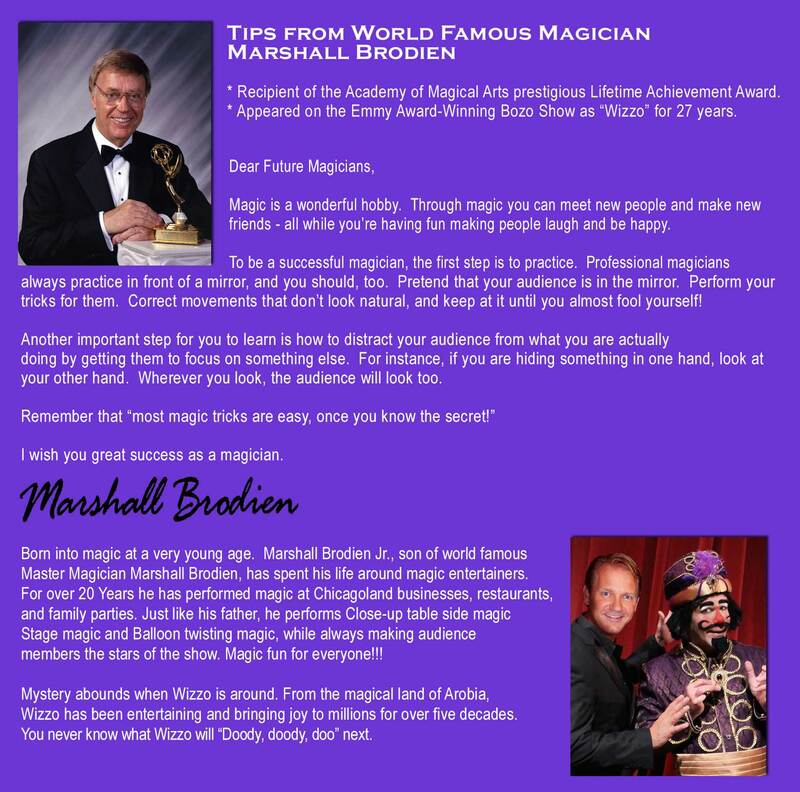 You’ll find 6 great props/tricks (Appearing Wand, 2 Card Monte, Ball & Vase, The Vanisher, Sponge Balls, Wonder Mouse) and printed instructions as well as have VIP access to online demonstrations by Marshall Brodien. 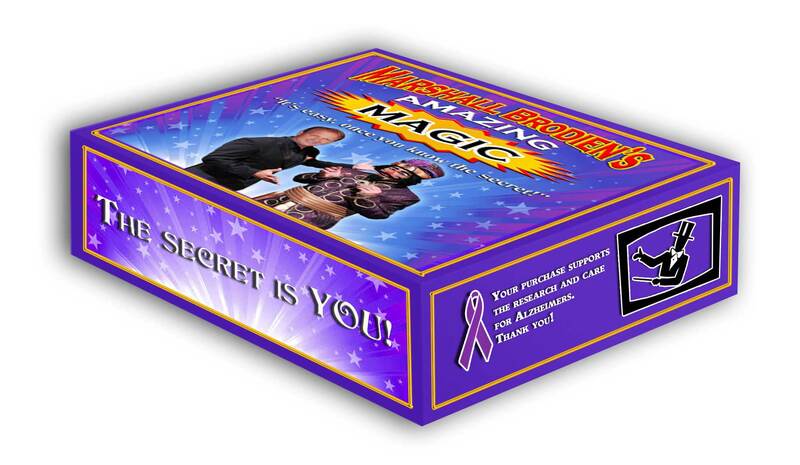 You’ll quickly be able to perform over 50 tricks, using these props/tricks.